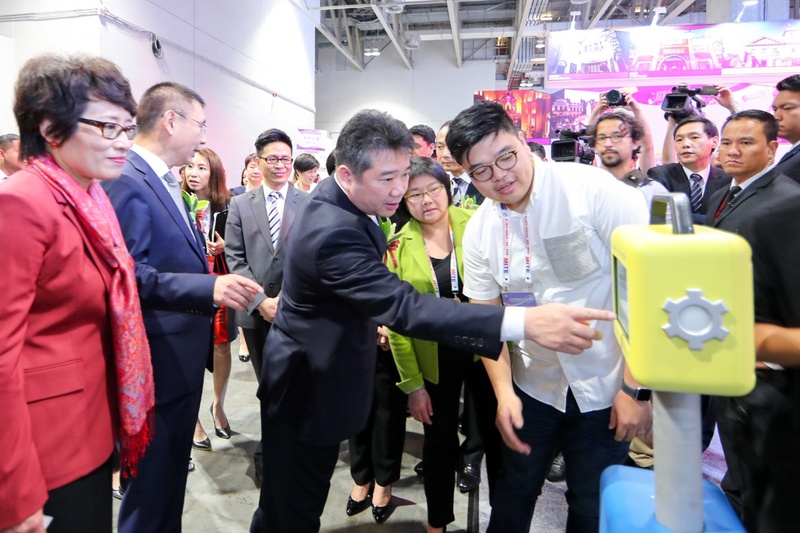 Organized by Macao Government Tourism Office (MGTO) and coordinated by Macau Travel Agency Association, the 6th Macao International Travel (Industry) Expo (referred to as the “Expo” or “MITE”) was unveiled at Hall D, Cotai Expo of the Venetian Macao this morning (27 April). Held from 27 to 29 April, the Expo is staged for the sixth year and marks the largest scale since its inaugural edition. The event presents five key highlights to radiate Macao’s unique strengths as a Sino-Portuguese platform and a major hub along the Maritime Silk Road, as well as leverage the role of Macao in cooperation across the Guangdong-Hong Kong-Macao Bay Area. Besides a showcase of the local cultural and creative industries, the event highlights what the city has to offer as a Creative City of Gastronomy and manifests the new dynamic of tourism, culture, creativity and gastronomy woven together. The opening ceremony was officiated by major guests including Vice Chairman of the National Committee of the Chinese People's Political Consultative Conference, Ho Hau Wah, Party Group Member of the Ministry of Culture and Tourism of the People’s Republic of China, Li Shihong, Deputy Director of the Liaison Office of the Central People's Government in the Macao Special Administrative Region, Yao Jian, Acting Commissioner of the Office of the Commissioner of the Ministry of Foreign Affairs of the People’s Republic of China in the Macao Special Administrative Region, Wang Dong, MGTO Director on behalf of the Secretary for Social Affairs and Culture of the Macao Special Administrative Region Government, Maria Helena de Senna Fernandes, Director General of Hong Kong and Macao Affairs Office of the People’s Government of Guangdong Province, Liao Jing Shan, Secretary General of the Permanent Secretariat of the Forum for Economic and Trade Cooperation between China and Portuguese-speaking Countries (Macao), Xu Yingzhen, person in charge of the Department of Affairs on Tourism of Hong Kong, Macao and Taiwan of the Ministry of Culture and Tourism of the People’s Republic of China, Zhang Dong, Deputy Director of Asia Tourism Exchange Center, Cui Suxiang, and President of Macau Travel Agency Association, Alex Lao, among other guests. Seven consulates general in Hong Kong and Macao and representatives from embassies in Beijing also attended the opening ceremony. 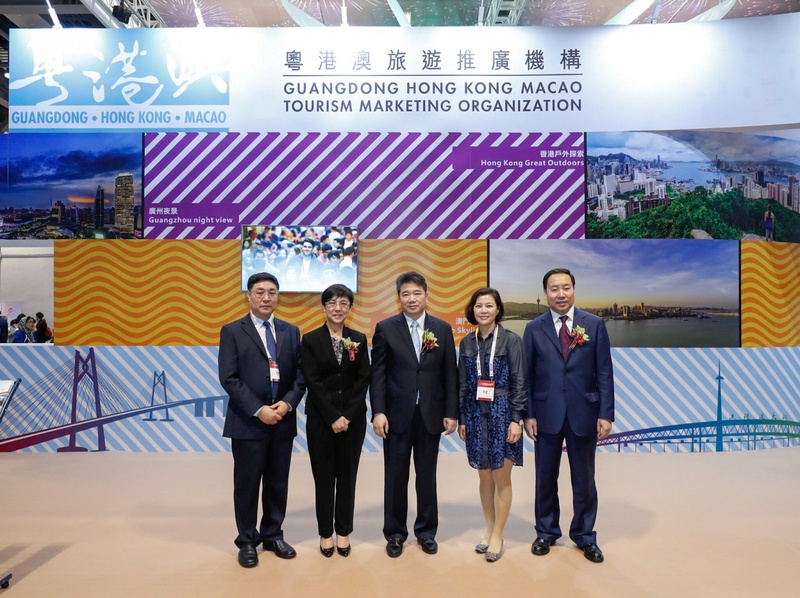 In speaking at the occasion on behalf of the Secretary for Social Affairs and Culture, MGTO Director Senna Fernandes remarked, “over the past five years, we have witnessed how the Expo has remarkably grown and progressed towards Macao’s signature international travel fair brand in the making. 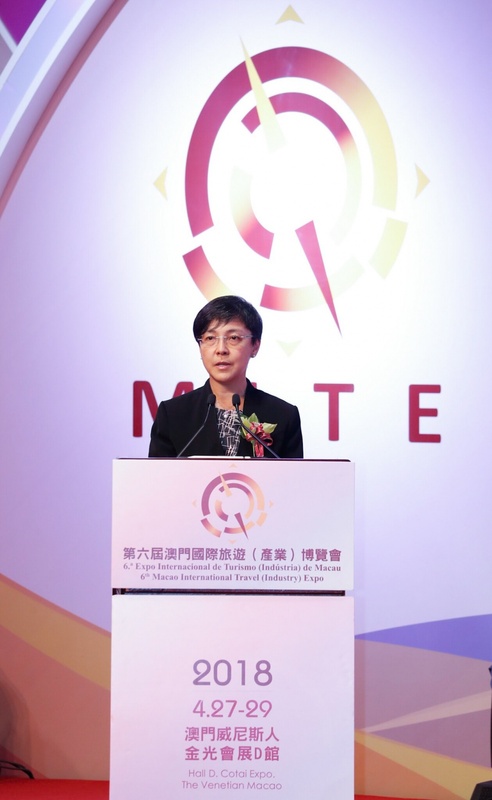 This year, with the dawn of the new era in our Country, the Expo has taken on a new journey to usher in an innovative platform for tourism cooperation with a new vision and new perspective.” She added that this edition of MITE capitalizes on the multiple advantages brought to Macao by a world of major opportunities and emphasizes concerted development empowered by regional and international collaboration. The Expo also fosters profound integration between tourism and other related industries. With an innovative and diverse program, the event is dedicated to forging diverse partnerships and creating substantial business benefits for all participants. MGTO Director Maria Helena de Senna Fernandes and Director General of Tourism and Hospitality, Ministry of Finance, Commerce and Blue Economy of the Democratic Republic of São Tomé and Príncipe, Mírian Solange Barroso Daio, signed a Memorandum of Understanding on Tourism Cooperation during the opening ceremony. The signing of the memorandum is expected to further advance tourism cooperation between Macao and Portuguese-speaking countries. 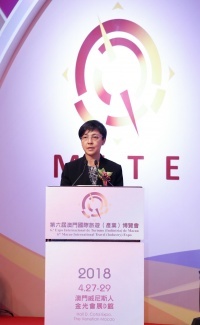 MITE is a major annual event for the Macao tourism community. Since 2016, MGTO has taken up the role of organizer with an unwavering commitment to build a platform that brings together delegates from the tourism and relevant industries near and afar to exchange perspectives, build partnerships and enjoy a mutual gain from visitor markets. Providing a wealth of practical travel tips for travel enthusiasts, MITE is held in parallel with the goal of transforming Macao into a world centre of tourism and leisure. The event not only covers six key elements of the tourism industry — dining, lodging, transportation, entertainment, sightseeing and shopping, but also gathers professionals and operators from tourism and other related sectors worldwide, including travel agencies, hotels, touring attractions, transportation as well as other travel-related extended services. In this sixth edition, the exhibition is expanded to cover an area of 11,000 square meters and accommodate 550 booths in total. Demonstrating the largest scale since inauguration, the event is joined by a total of 420 travel or tourism-related enterprises and units from 50 countries and regions across Asia, Europe, the Americas, Africa and Oceania. Among the exhibitor units, eleven have come from the Guangdong-Hong Kong-Macao Bay Area and 14 of them from countries and regions along the Maritime Silk Road. 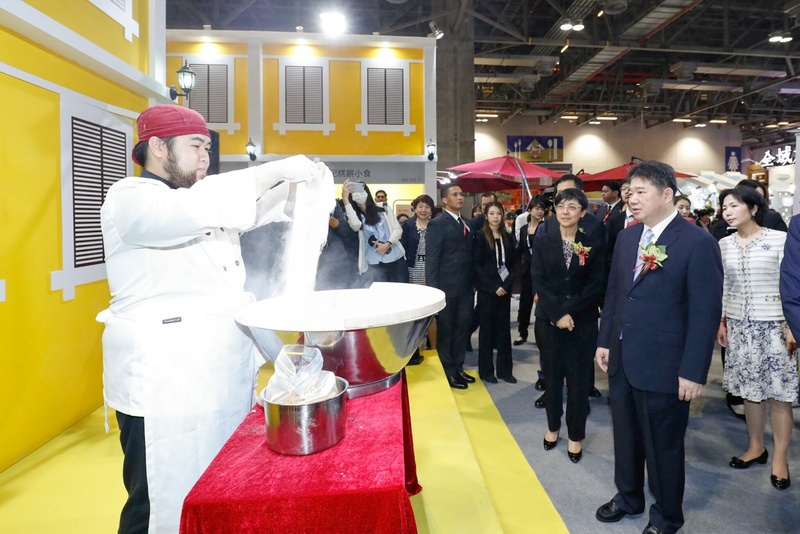 In addition, eight exhibitor units are Portuguese-speaking countries and 23 of them are tourism departments of Mainland provinces or municipalities. Starting this year, MITE is scheduled in April annually to provide an optimal timing for industry operators to sell their summer packages in advance so as to harvest greater commercial benefits. 5) “Macao: City of Gastronomy” Feature Zone: To take visitors on a journey to experience the charm of Macao as a UNESCO Creative City of Gastronomy, the Zone features interactive sessions with the audience such as preparation of special delicacies with traditional culinary skills, cooking demonstration and food sampling. Stories about Macao’s signature delicacies are shared in the Zone to promote the city’s diverse gastronomic culture rooted from its centuries-old history of East and West cultural interchanges. MGTO presents a Macao Pavilion in the Expo. Themed after “Experience Macao Your Own Style”, the Pavilion showcases the variety of Macao’s tourism resources and products to industry professionals and visitors from around the world. 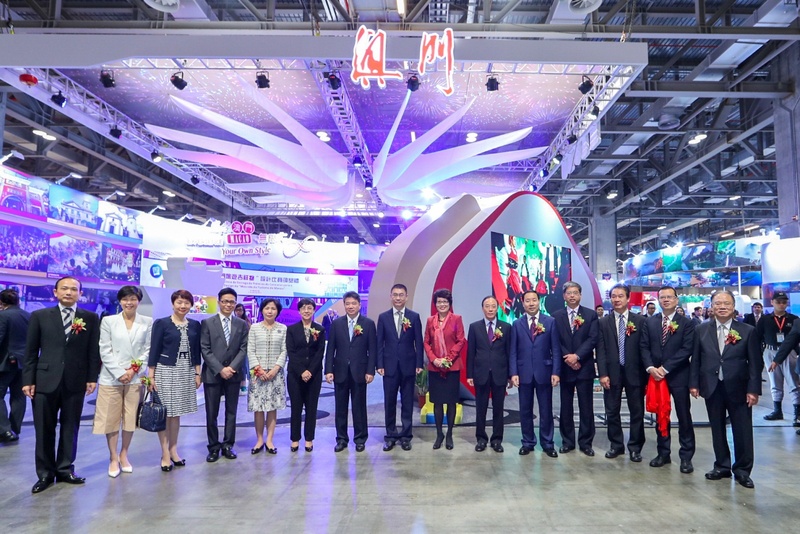 A “Guangdong･Hong Kong･Macao” themed zone is set up in the Pavilion to promote tourism products and tour routes across the three destinations. 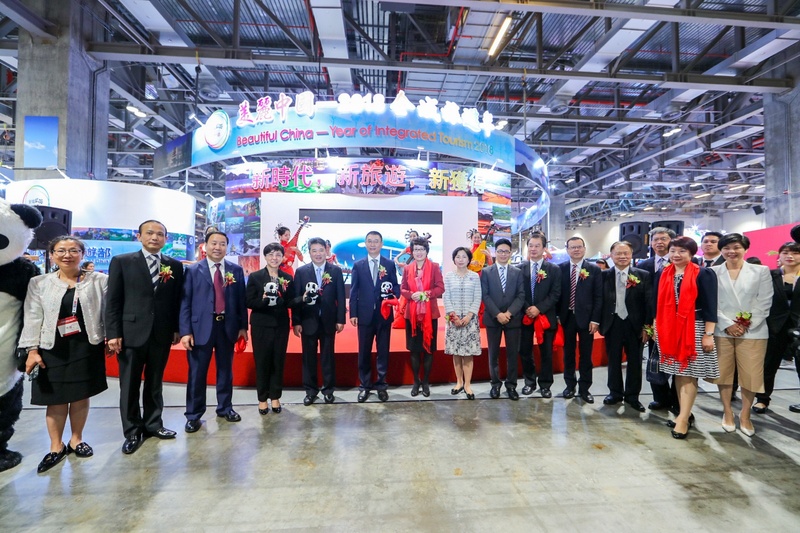 In addition, a prize-giving ceremony was held to award winners of the Design Contest for Macao Tourism Mascot at the Macao Pavilion of the Expo today (27 April), alongside an exhibition of the award-winning works to bring out the brand-new tourism image of Macao. Spectators can take a picture with the Macao Tourism Mascot at the Expo to share on the designated social network in exchange for a lovely present while stock lasts. MGTO signed a cooperation memorandum earlier with Singou Technology (Macau) Ltd, the research and technology development team of the Macau University of Science and Technology, to initiate and forge ahead with a project to develop smart tourism robots. Researched and developed by the local team, Robots named “Singou Guard 1” and “Singou Butler 1” will be put into service for smart tourism in Macao. Robot “Singou Butler 1” first makes its debut in the Expo to greet participants and visitors from around the world as an initiative to enhance technology application in travel fairs. The official launch of the smart tourism robots are expected in the second half of 2018, mainly in the scope of tourism enquiry and destination promotion, etc. The 6th MITE is open to the public from 11:00 to 18:00 on 27th April and from 10:00 to 18:00 on 28th and 29th April. Free admission tickets are distributed to the public on-site at Hall D, Cotai Expo of the Venetian Macao. 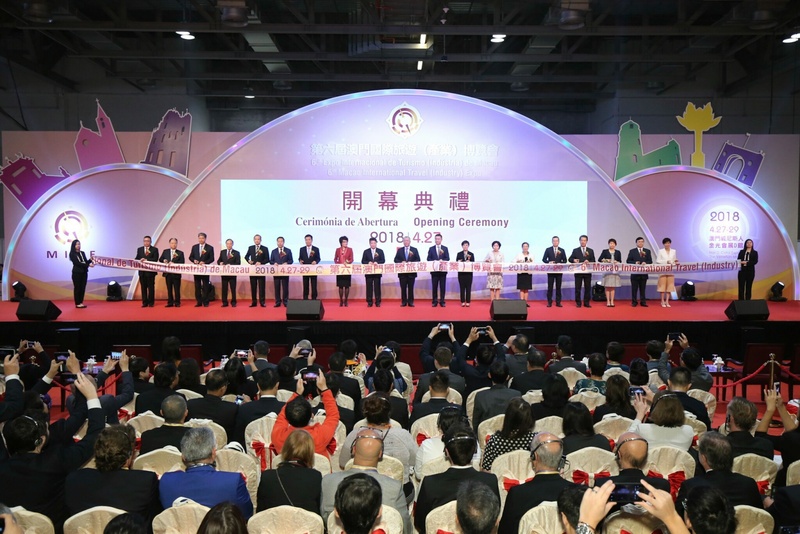 The co-organizers of the Expo this year include the Tourism Development Committee (CDT), Macao Chamber of Commerce, Macao Federation of Trade Unions, the General Union of Neighbors Association of Macau, the Women’s General Association of Macau, Association of Returned Overseas Chinese Macau, Travel Industry Council of Macau and Association of Macao Tourist Agents. For more information about the 6th MITE, please visit the official website: www.cmitc.com.